Knowing what you need to do when starting your new business can seem difficult. We have designed this starting a business checklist and helpful tips to guide you on your way. You can download it, print it, write on it. Importantly you can tick off the points as you work through them, one by one. What is your company name and vision? Define your business and what your goals are for it. This is what will guide you when you start running your business. Create Your Business Plan: There are some great ones to download from the Companies House website https://www.gov.uk/write-business-plan and here are 15 reasons why you need a business plan if you are doubting this important stage. Who will your suppliers be? Compare at least 3 for each product or service you require before you make any decisions. Don’t always go with the cheapest. Compare like for like. Where will you run your business from? Will you need premises, do you need it permanently? Can you work from home if providing a service? Assess these options. If working from home, make sure you set up a work space that is separate from the rest of your house. This way you can minimise any tempting distractions. Distributors? If selling your products through shops, will you need a distributor? Contracts, Terms of Business, templates: Start on the right foot. -Get all your template paperwork in order. -How will you send quotes? -Do you need to provide a contract for the work agreed? -Where will you store your customers information? What will your structure be? Limited Company, Sole Trader, or Partnership. A limited company is a separate legal entity to its partners and shareholders. Whereas a sole trader can be held personally liable if the business fails. Running your business as a limited company looks more impressive. Look up more pros and cons of this before you decide. If you do decide to set up a limited company, you need to register with companies house here. There are companies that can do this for you, like us – Franklin James Credit Management. Protect your work: Once you have registered your name, do you need to trademark it? Will you need to protect your product with a patent? Insurance? Employers and Public Liability Insurance are important. Professional Indemnity insurance is another key one that you might need. The Bank Account: Set up your business bank account. Make sure you compare the market and look around for the best deals. Funding? Do you need this? There is lots of information available out there on funding. From grants to loans, to investments. -When do you expect payment and how will you invoice? -How will you take payments? Bacs, Cheque, PayPal, Cash? Design your template for invoices here is a Useful article on what your invoices need to include. There is also software available that can generate invoices for you. PayPal offer some great little gadgets for taking card payments. Worth a look! A good accountant will be able to guide and advise you on your best suitable methods for business. What you pay them, can be a lot more cost effective and time saving than if you do it yourself. Your accountant or bookkeeper will tell you where tax savings can be made. If you decide to DIY, then here is a guide to self-employed expenses. Are you going to use an accounting system? There are lots of great ones available. From Kashflow to QuickBooks, sage to Xero. Set a process for your bookkeeping. VAT! If your business turns over more than £81,000, then you will need to register for VAT. You can set this up from the very start, see this guide for more information on it. OR ask your accountant. Dividends & Salary: There is also a guide to this for the people who want to DIY on the gov website here. Your accountant will know more about this too! Appoint your accountant. Keep your business finances in tip top shape! Employees: If you are looking to hire staff, then check that you meet all the criteria. We use a company called Peninsula for this, they are very helpful, especially at times when you may need step-by-step advice. Have a plan and process of how you will train your staff. Michael Gerber who wrote the E Myth demonstrates a fantastic way to do this and scale your business. Make sure you have contracts in place. Make sure they sign them! – Write the benefits of your product or service. – What keywords relate to your business? Then bring them all together to create your 30 second pitch. Assess your competitors: Make a list of things that you like, and don’t like about your competitors. Work out how you will be different to them. Compare and then decide on your pricing and how much profit you would make after all your costs are taken out. Equipment: Order the things you need for your business. For example, computer, printer, phone, and the tools that you require to do your job. Create a website: WordPress is a great user-friendly platform to build your site with. Or get someone to do it for you. TIP Content is king, so make sure you include a blog on your website! Ensure that your site is set up with SEO plug-ins so that you can measure your site traffic. Doing this will let you see where your enquiries are coming from and how you can improve. Google Analytics and webmaster tools are what you need to look at. Social Media: Set up your Social Media pages and platforms. Decide which platforms are best for your business. So, if you are targeting females over 30, Pinterest is your platform. Are you selling to other businesses? If so, then maybe LinkedIn is the best platform for you? If you are not sure which social media platform to choose from, try different ones. Social Media Examiner offers amazing insights and guides to help you. According to Buffer, “Did you know, that Facebook video receives, on average, 135% more organic reach than a Facebook photo? Or that 73% of Business to Business (B2B) marketers say that video positively impacts marketing return on investment?” So, make sure you create and upload lots of videos. Even from your smart phone! Database of Contacts: Put together a spreadsheet or list of contacts and potential customers. Perhaps you could do this through an email marketing system like Mail Chimp? It is free for up to 2000 email addresses. Business Cards & Networking: Find out what events are on in your local area and surrounding. Attend them! Give out your new business cards. These days you don’t even have to buy business cards. You can send digital ones! Often its always good to hand something over to people though. If you want good quality, cheap cards, vista print have great packages available. You can even design your own. Always: Ask for referrals and recommendations. Get people to leave you reviews on your website or social media platforms. 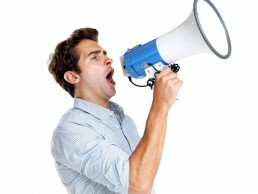 Word of mouth is one of the best ways your service or product will be promoted. If you feel like you are over burdened with your business and you need to discuss the benefits of outsourcing certain roles, like credit control or debt recovery, call our friendly team on 01494 422742.